Our ranges of aluminium gates are available in standard flat colours, standard wood finishes and both flat colours and wood-effect finishes in non-standard ranges. We also supply aluminium gates in a range of colours with textured finishes.The following images show you the standard finishes and examples of non-standard aluminium gate colours and finishes. All images below are representative of each finish. Different monitors and screens will display variations in these finishes so we cannot guarantee the exact colours displayed here are 100% accurate. Some of the images below that illustrate a specific aluminium gate colour are shown from inside the gate to give you an idea of different gate automation systems available. We have a wide range of alternative wood-effect finishes that can be made to order. Delivery times for these finishes will be longer than standard finishes due to the nature of the bespoke finish preparation process. Please call us on 01895 23 26 26 if you are looking for something other than our standard wood-effect finishes. 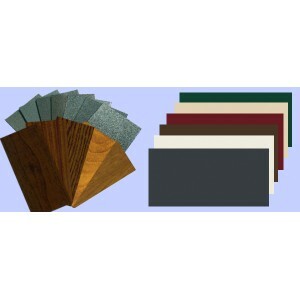 We have a range of textured finishes in black, brown and various shades of grey. Please call us on 01895 23 26 26 if you are looking for something other than our standard, flat coloured finishes. 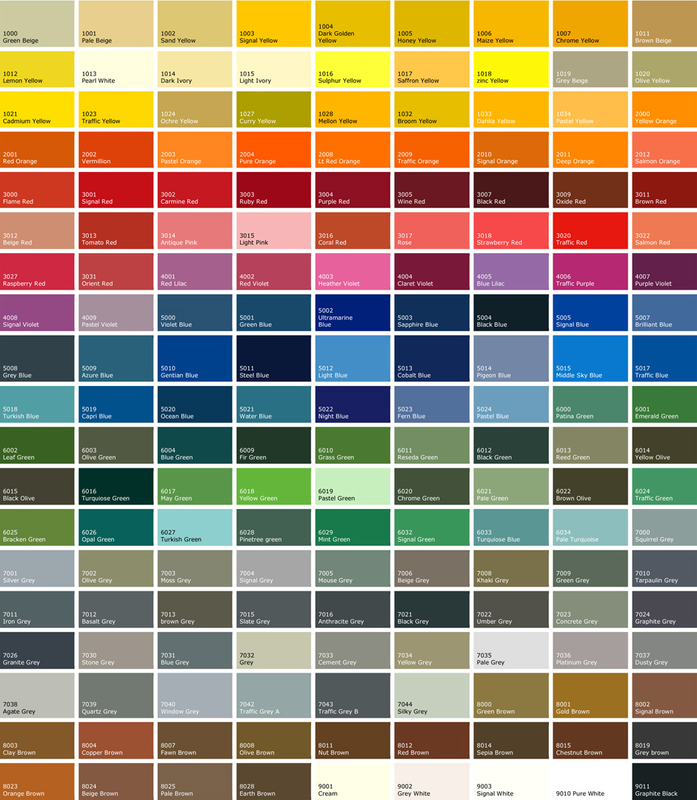 Our range of colours and textures includes all the colours from the RAL colour chart. A small amount of these colours are shown below and a few examples of gates in non-standard colours and colour combinations can be seen on the right.If you’d like examples of prices, you can use our aluminium gate price calculator or call us on 01895 23 26 26 with any questions about price, manufacture, aluminium gates, delivery times or anything else about our ranges of aluminium gates.